Lovers day is coming up next week and for you snackers out there like myself I threw together something so simple yet delicious you can whip up either for the fam or that special someone. 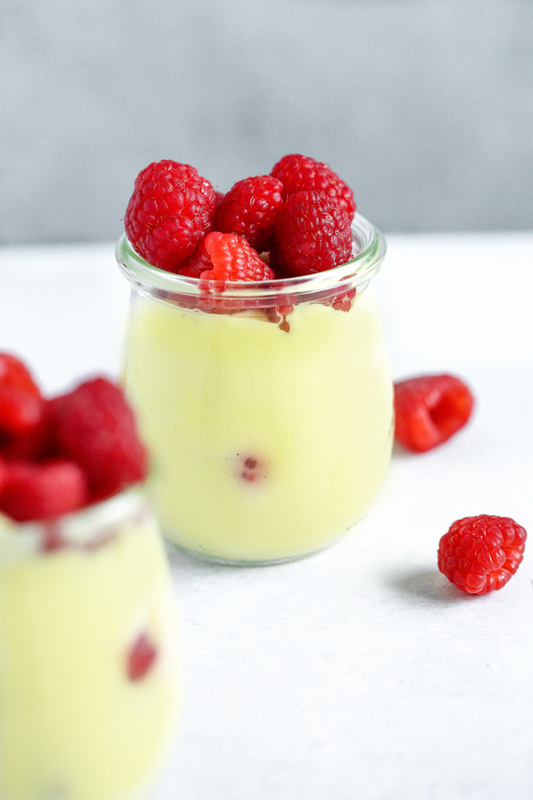 Vegan Vanilla Pudding with Raspberries is super duper easy and a favorite in my house. 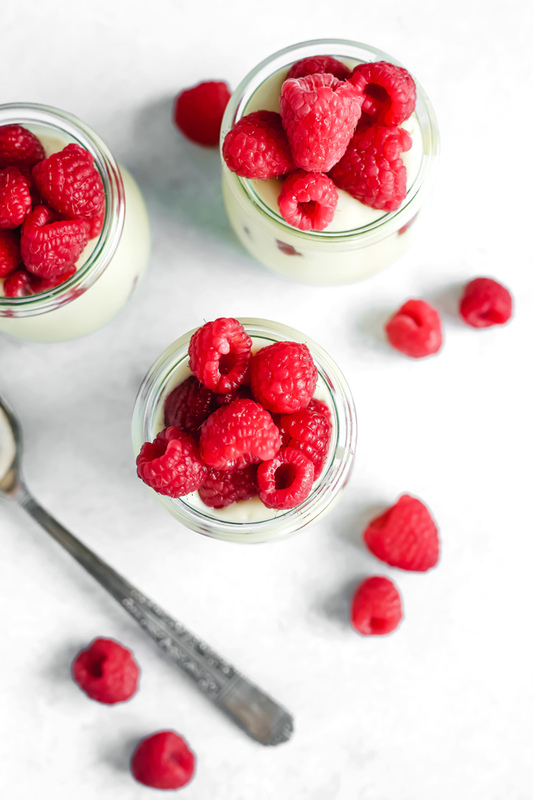 I love how the tartiness of the raspberries compliments the sweet vanilla. Typically on V-Day (Valentine’s Day), it’s a chocolate lovers dream, and you know my relationship with chocolate is nothing short of amazeballs heaven. But for this one I wanted to do something a tad different but still totally mouth watering delicious. 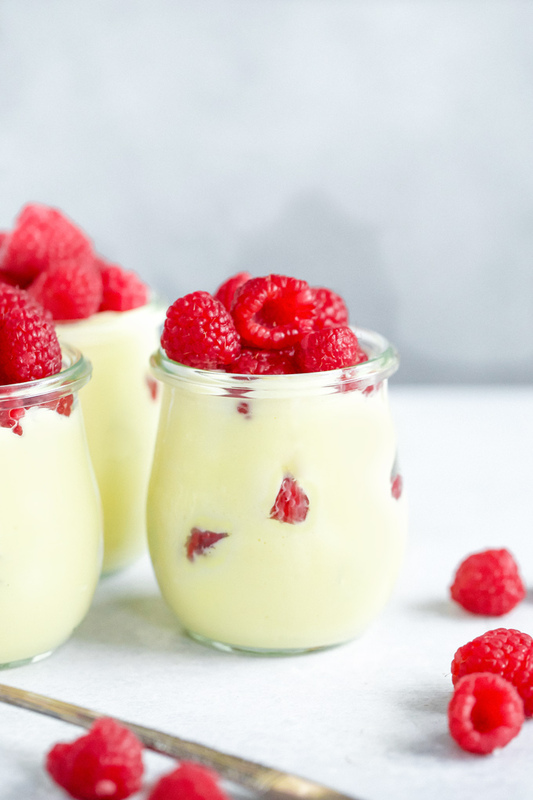 Did I make the vanilla pudding from scratch? Nope, I went with the quickest way I knew and used an organic vanilla instant pudding mix. The only thing I do differently is instead of using almond milk, I use full fat coconut milk from the can. 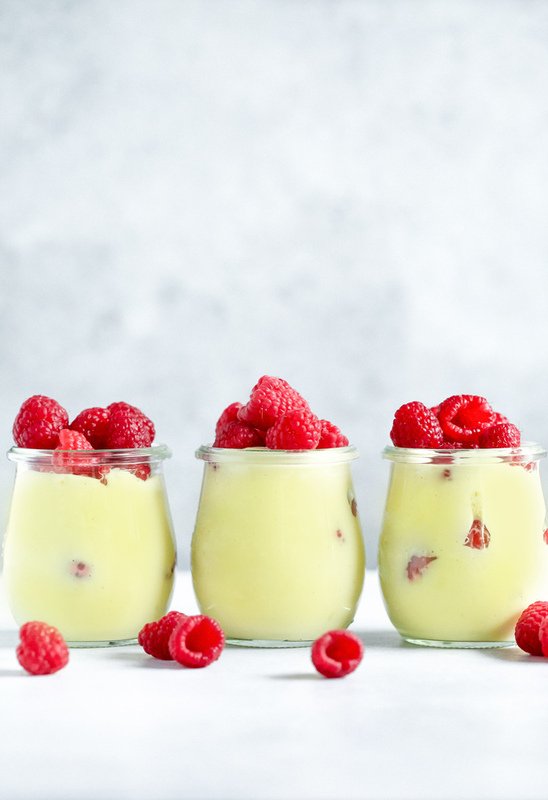 By using a hand mixer, it makes the pudding a little thicker and if you discard the water all together you’ll have a vanilla mousse! It’s magical. And on the plus side, if you buy a sugar free pudding, this will be a sugar free snack which just makes it all the better. Low carb and sugar free? Yes please! My husband and son both love vanilla, I mean I do too but I will always prefer chocolate over it, however this comes in a very close second to ze chocolat’. And if you absolutely hate vanilla and your against it at all costs just use a chocolate pudding mix or make my 2 ingredient vegan chocolate mousse for the special day. No matter which way you go you will be pleasantly surprised at how just one simple change can make a whole lotta difference to a classic favorite without sacrificing deliciousness. Alternatively you can use almond milk for a more regular pudding consistency. So…are you Team Vanilla or Team Chocolate? Let me know by leaving a comment below! Need more Valentine’s Day treats? No probs, I got you covered. 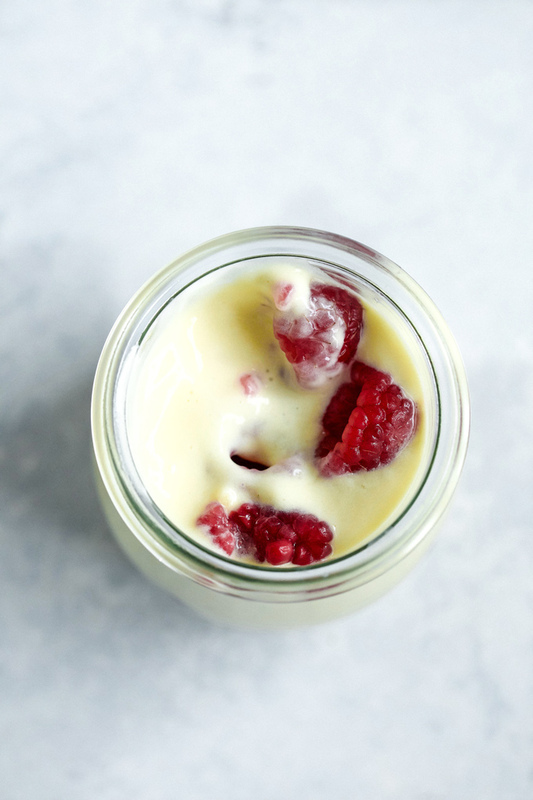 Sweet vanilla pudding made with coconut milk paired with raspberries for Valentine's Day. 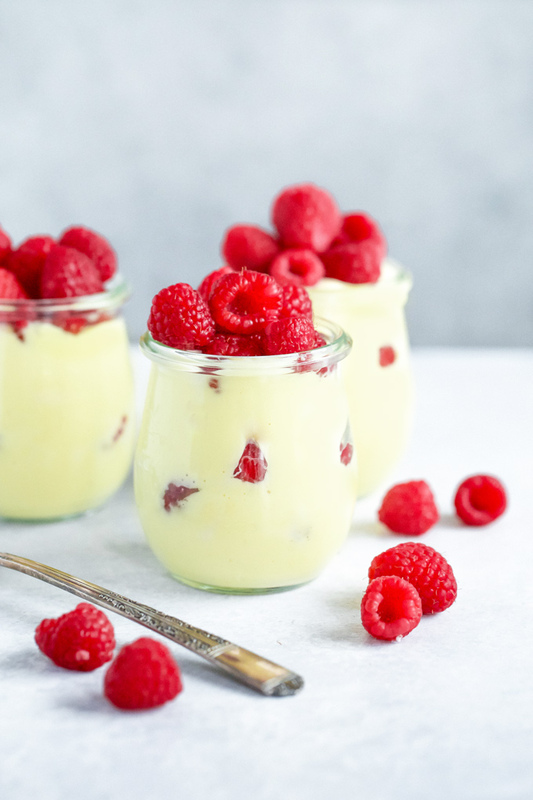 Make the vanilla pudding mix according to package instructions but instead of using regular milk use full fat coconut milk (alternately you can use almond milk but it will be thiner. Allow the pudding to chill and set in the fridge for 5 to 10 mins. 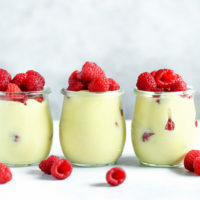 When pudding is ready pour it in pudding cups or jars filling halfway then layering in the raspberries. 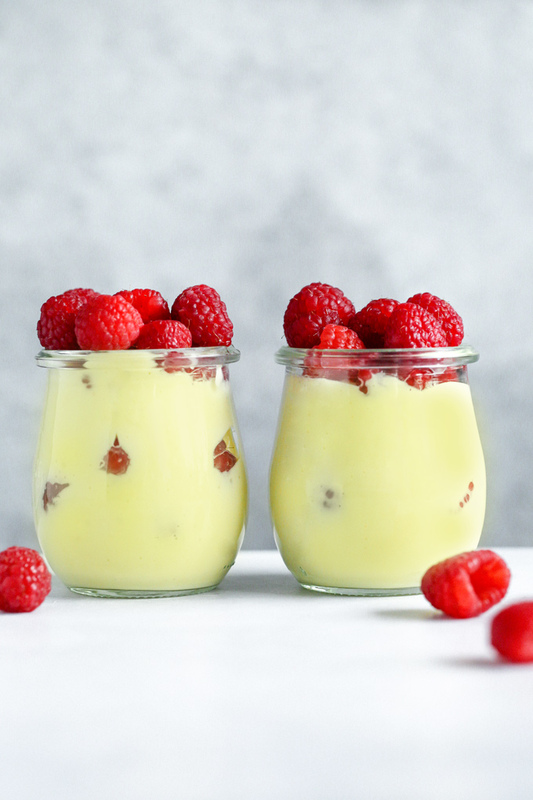 Top with more vanilla pudding and raspberries until you reach the top. Serve right away or keep stored in the fridge until ready to serve. Enjoy! 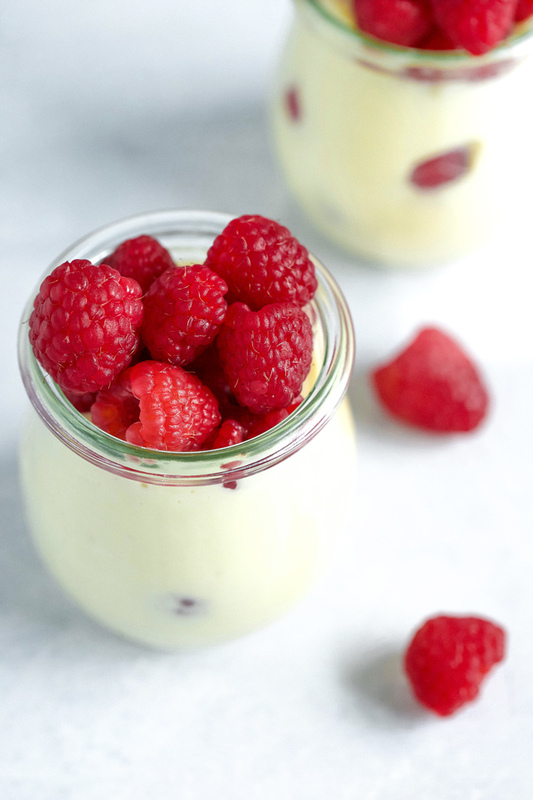 You can discard the liquid from the coconut milk and just use the cream for a thicker mousse like consistency. Delish!